I got recruited to the site and they offered to pay me. Nothing is really changing, I’m just moving platforms. Secondly, thanks. Because of everyone that is here and followed me to help promote my posts so they showed up in the algorithm and I’ve gotten this chance. I really appreciate the people that have bothered to click follow on a random guy in northern Canada’s quickly written and poorly edited movie ramblings. I’ll post here still, but largely just an anecdote and hyper-link to the Creators platform, where I hope you come follow me. I don’t even know if I liked this movie. It started off choppy, slow and kinda boring. Got quite good, especially right before the climax, but then ended anticlimactically. A real sequel fisher of an ending. The more I think of it, the more I’m not surprised that this comes to us from Fox as I can just feel bits of X-Men: Apocalypse and Fantastic Four in the way its put together. I haven’t paid close attention to the Assassin’s Creed games since the end of Ezio’s time. I own AC3, its in the plastic. I own AC4, its part of my un-downloaded library on Steam. But I was still a really big fan of the games. Annual releases drained me a bit, and I’ve kinda tuned out of video games in general outside of a few titles. But something that really put me off keeping Assassin’s Creed in my circle of attention was that they stopped having focus on the present day storyline and Desmond. I liked the past, but I liked how it tied to the present just as much. I liked the end goal it presented. If the reason they started to pare that away from the games was so that it could all go into the movie I just watched, well… maybe it wasn’t such a bad thing. It hits at parts, but it definitely misses too. 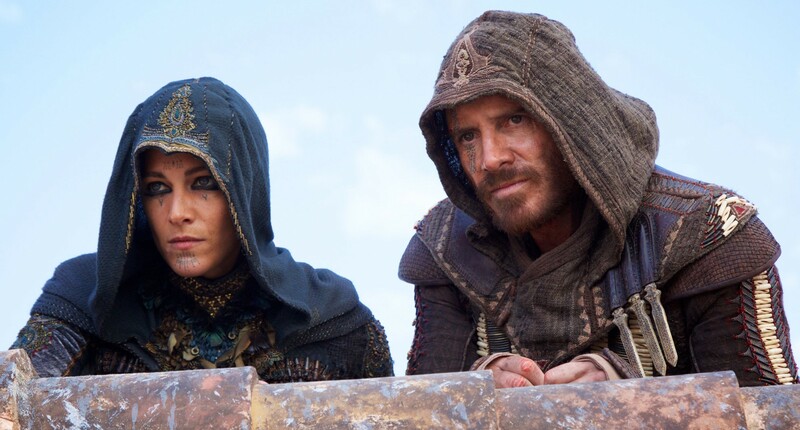 This entry was posted in Games, Movie Reviews and tagged assassins, assassins creed, michael fassbender, movies, review, templars, ubisoft, video game movies, video games. Bookmark the permalink. ← Arrival Is Really Good. Yup.